As Supply Chain Finance evolves, Greensill believes companies will increasingly use technology to unlock capital so they can put it to work and reduce the need for traditional borrowing. Today, as goods move around the world, value is added in stages, with finance coming in on each leg of that journey. Innovations such as 3D printing, the Internet of Things (IoT), automated vehicles, blockchain and drones will change how we make and deliver goods and services. SCF will be just as important. You will no longer finance the delivery of an asset—be it physical or a service. Technology will predict that you are going to receive an order for that asset, work out when you will deliver it and when your customer will pay, and let you have the money upfront so you can finance the work. "That flow of information is also a financial flow, and there is a very interesting opportunity around all that." says Lex Greensill, CEO of Greensill. Already technology is changing how businesses manage their inventories. Food delivery business Just Eat can use data analysis to predict orders for a high street pizzeria on any given night, allowing it to have the right number of staff and the right amount of ingredients. Data makes orders certain, and the IoT, which enables anything embedded with software and sensors to communicate and exchange data, will trigger an early warning, flagging the need to ship replacement parts. SCF will automatically kick in for a supplier when a buyer puts in an order. Using this data, you can create a virtual credit rating for any business, based on a buyer’s proven transaction history. Information like whether a corporate buyer pays its suppliers on time, their order performance, any history of late shipments or cancelled orders will be used to assess risk rather than credit ratings in a new, performance-based financing. As consumer behaviour changes, so financing needs to evolve. Car sharing, autonomous vehicles and electric cars will revolutionise the auto industry. 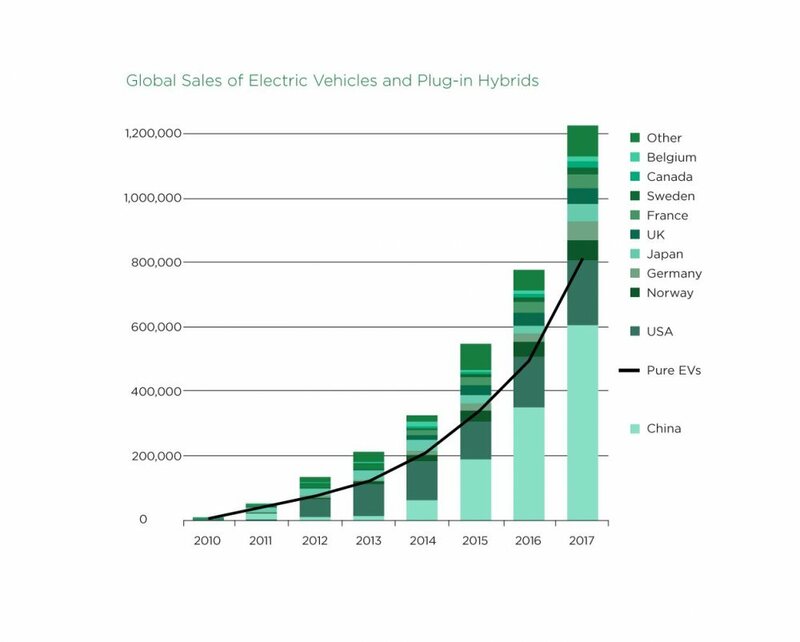 Electric vehicles will account for 54 per cent of global new car sales by 2040, according to Bloomberg New Energy Finance, while Global Market Insights says the car sharing market is growing at over 30 percent a year and will be worth $16.5 billion by 2024. Greensill is using data analysis to develop a financing model around pay per use in the car industry. “Rather than buying cars outright, car use is going to start to look a bit like Office 365, or your mobile phone, where you pay a monthly subscription and it’s there for you to use,” predicts Lex Greensill. In Greensill’s model, the price the driver pays to use the car will be based on data including how much and how far they drive or likely repair and maintenance costs. 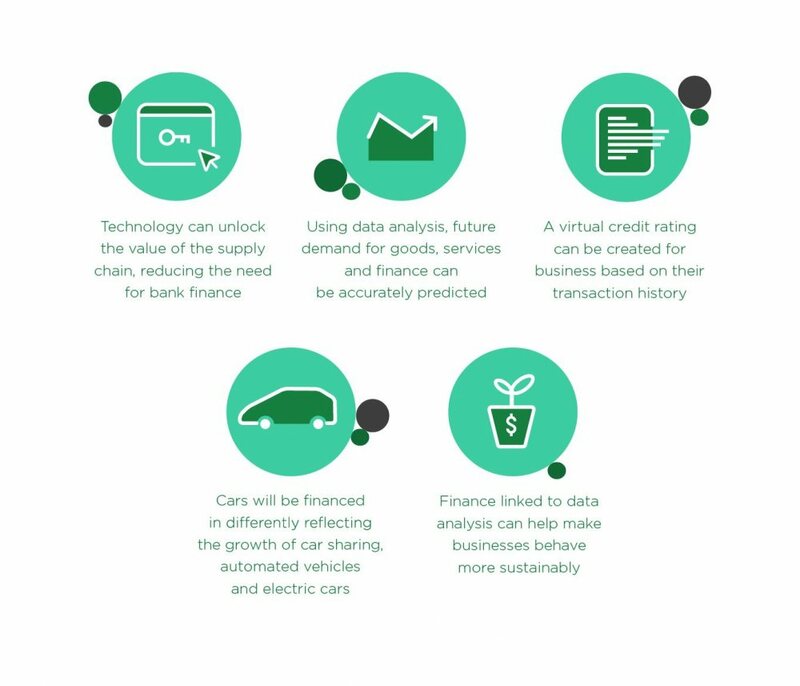 Those driver costs, calculated through behavioural predictions and data analysis, will be packaged up ahead as future receivables, sold to investors and turned back into cash today to pay for the upfront cost of buying the car. This model is ripe for financing future innovations, such as electric cars, argues Lex Greensill. “We’ve just been mandated by a customer to take future cash flows pertaining to automotive data and for those cash flows to be monetised. It looks like a bit of a jump from the stuff we’ve done before, but really it’s all part of the same arc.” And the model will evolve beyond cars. "I think I can see it happening to an extraordinary number of things—even buildings." Combining data and SCF can also be used to change buying behaviours, for example, to meet sustainability goals or reduce emissions. A pilot project combining blockchain’s ability to log sustainability data in supply chains with access to trade finance aims to help solve sustainability issues blighting the tea industry in Malawi. Parcels of Malawian tea are tracked from bush to brew, and banks involved reward evidence of sustainability, with preferential access to credit for farmers and co-operatives. Using data to predict demand, how a business will meet that demand, what issues could come up to impact its ability to deliver and what finance the business will need will transform how companies access capital. Using that capital to improve the company’s ability to deliver evolving opportunities makes finance more of a partnership. Greensill’s experience in SCF and its ability to raise money from the capital markets puts it in a unique position to be that partner.